Clay and Jackie often seen each other on campus but never really had a conversation. One faithful evening they ended up at a mutual friend's dorm room. The topic of discussions was relationships. After much debate, with Jackie not saying much, Clay blurted out "I like you, do you want to go out?" Stunned and shocked, Jackie did not answer. Later that evening, Jackie pulled Clay to the side and finally answered his question-"YES"! · What qualities did you see in this person that made you want to marry him/her? The qualities I saw in Clay was his heart for God, his passion for praise and worship, his ability to lead people in worship, and his dedication. The qualities I saw in Jackie was her relationship with God and I saw that she would be a great mother to her children. She is also very supportive and willing to give her time and energy to her husband and her children. She was willing to help me reach my goals and encourage me to do more. She is very helpful and willing to pray for someone in need. She loves to laugh and have fun. · How do you keep the romance going? What are some things that you enjoy doing as a couple? To keep the romance going we have to schedule a date for us to get away from life and enjoy each other's company. Things we enjoy doing together is Worshipping God, reading the Word of God, watching TV and movies, spending time with the kids, and going on family outings. · What is your favorite part of marriage? My favorite part of marriage is having another person by my side to help my complete my journey in life. Life can sometimes be a struggle; it makes it easier to know that you are not by yourself. 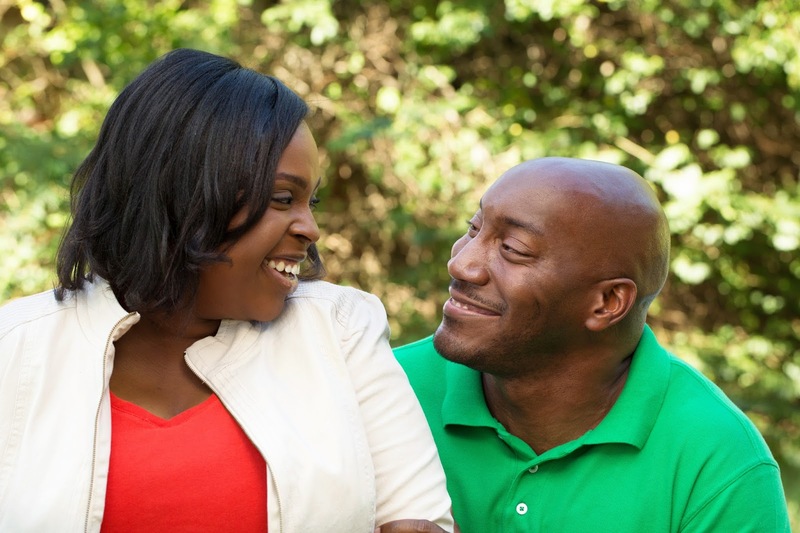 · What is the most important aspect in a marriage to make it successful? · Life often throws many curveballs, and those that make it through those tough times stay together. How have you dealt with stressful times that arise? Prayer and Faith in God that all things will work together for our good. Loving God more than we do ourselves. · Marriage isn't always a cakewalk. What advice can you offer newly engaged couples when disagreements occur? Walk away and give each other some time to think. Pray before you come back together to discuss the disagreement Also, it is ok to agree to disagree. Don't talk out of emotions. · What do you see as the strengths of your marriage? · Clay, what do you LOVE about Jackie? I love the she loves God and has a relationship with God, she makes me laugh, she is a great cook, she is honest with me, and she is a great mother. She does not give up. She is a fighter. · Jackie, what do you LOVE about Clay? I love that he loves God, he is a great provider and protector, he makes me laugh, and he has an amazing voice. · What advice would you give newlyweds? Keep God first individually and as a couple * Pray together and for each other * Be honest * Be selfless every day. · What song best describes your marriage?